I’ve been in a vegetable rut again. 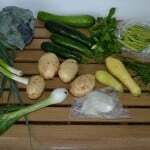 I’ve been making the same vegetable side dishes that I always do. This usually means roasted vegetables of some sort or a baked potato or mashed potatoes. I’ve had a hard time finding a recipe for another type of vegetable that I would want to eat. I’ve also been on a Meyer Lemon kick as I’m sure you’ve seen from some of the recipes I’ve been posting recently. I like them because they are a bit sweeter then traditional lemons but you can’t get them all year long. They are usually available from December until April or May so I’ve been buying them like crazy while I can! 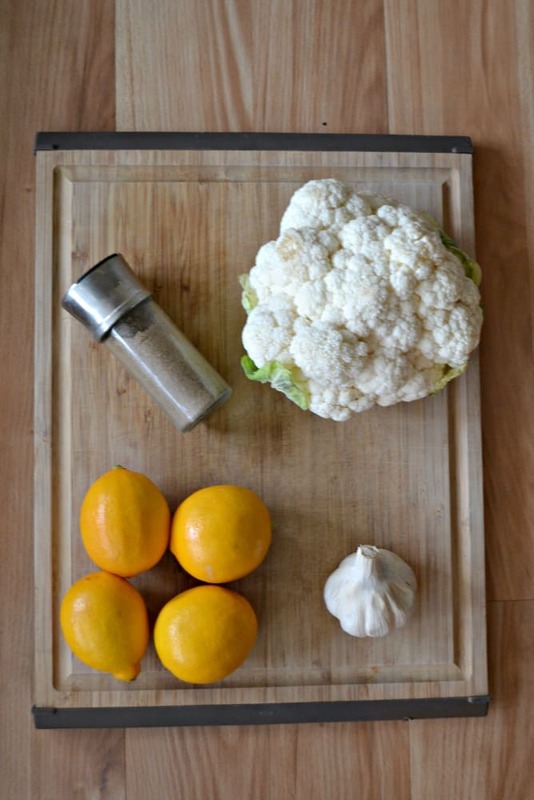 This recipe is for Spiced Cauliflower with Meyer Lemons. At first I thought it was going to be like every other vegetable recipe. 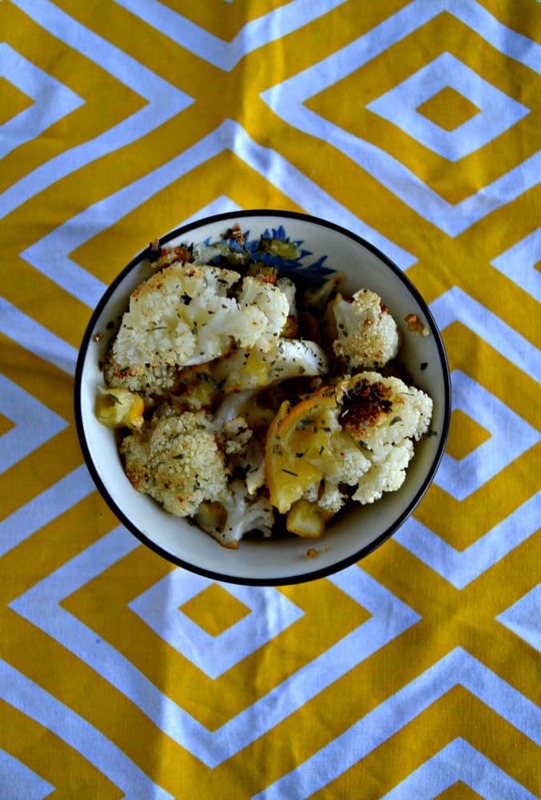 It starts with roasted cauliflower, adds in some spices, and then it’s tossed with the lemons. However, it isn’t just lemon juice or chopped up lemons put on the cauliflower in this case. 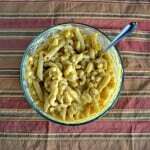 To make this recipe you made a quick preserved Meyer Lemon to mix with the cauliflower. That means boiling thin slices of the lemons with water and salt. I thought this was going to make them really salty but I actually found that it brought out the sweetness in the Meyer Lemons. After the cauliflower is roasted the Meyer Lemon mixture is added to it and everything is mixed together. Parsley can be sprinkled on top to add a little green to the dish. I really liked this side dish. It took the flavor of roasted cauliflower to a new level with the sweet and tart flavor of the preserved Meyer lemons. 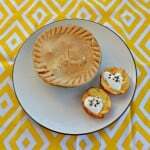 It was bright and flavorful and the perfect addition to a spring meal. 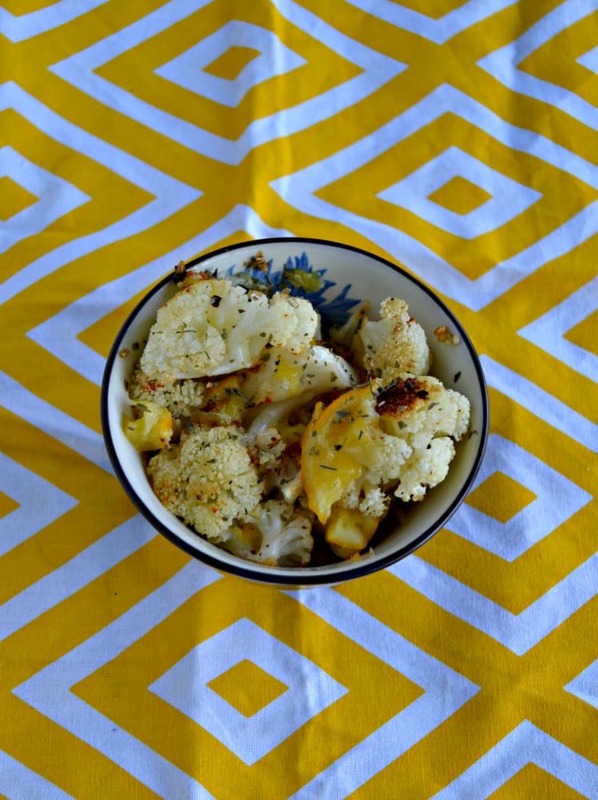 Brighten up your roasted cauliflower with quick preserved Meyer lemons! Slice 2 lemons into ¼ inch thick slices, discarding the seeds, and place them in a small saucepan. 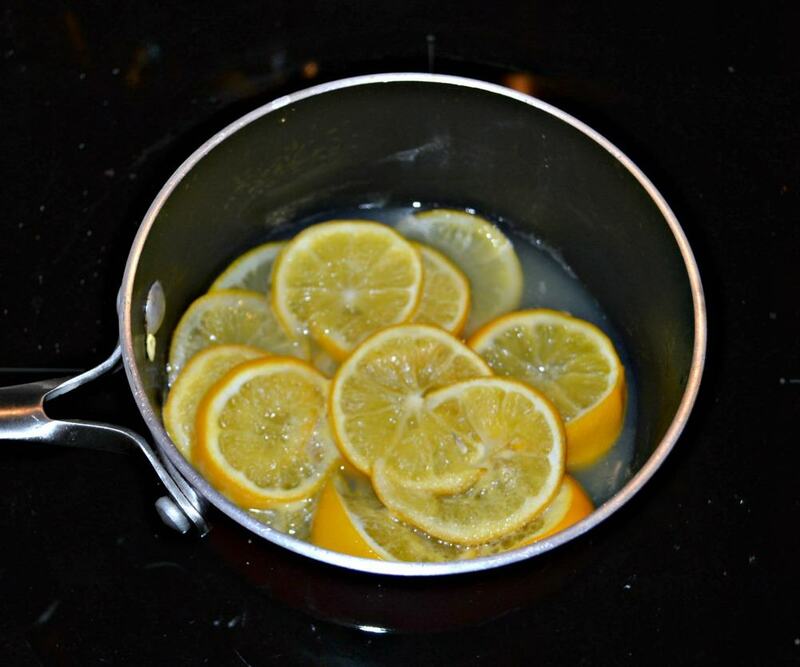 Cut the remaining two lemons in half and squeeze the juice into the saucepan with the lemon slices. Add the water and salt to the saucepan. Bring the mixture to a boil over high heat, stirring until the salt dissolves. Cover and simmer over low heat for 10 minutes. Drain the lemons then chop them finely. 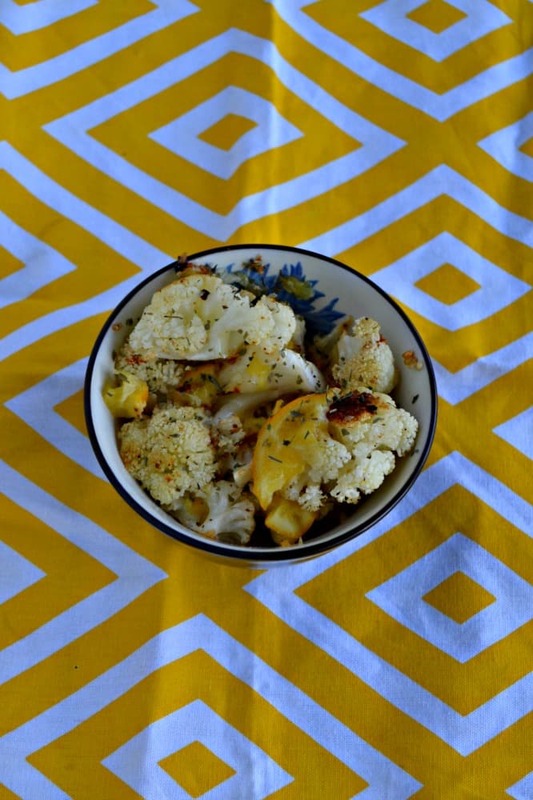 Place the cauliflower on a rimmed baking sheet. Toss with the oil, coriander, cumin, and black pepper. Roast for 20 minutes, stirring once, until the cauliflower has started to brown. Remove from the oven and mix with half of the lemon mixture. Serve sprinkled with parsley if desired.